Almost any parent would travel to the ends of the earth to stop their child from suffering. 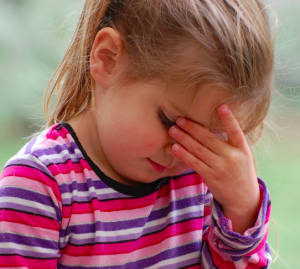 Migraines are one of the five most prevalent chronic diseases that children suffer with. They can lead to missing days at school, less participation with sports, less socializing with friends, and can leave a significant impact on the family members who are taking care of the child. But, unfortunately, migraines are underdiagnosed and undertreated in children and adolescents. Sadly, much of the time the underlying cause is not found through standard medical evaluations. I’m here to change that! It’s time to shed some light on childhood migraines and more importantly to show there is hope for those who suffer from them. In this video, two mothers share their stories about how their children suffered from migraines. Both had tried everything and were skeptical at first about trying chiropractic care. Now they are so incredibly thankful for Dr. Dale and the transformation in their happy kids. Both of these children have healed from migraines naturally and have their life back, thanks to chiropractic care. You can call 931-591-2010 to set up an in-office consultation. If you would like to hear more testimonials, you can visit MarathonChiro.com or just click “The Clinic” tab in the menu.